Add a pop of color and contemporary style to your living room with this remarkably stylish accent chair. With a bold and shapely look, the rolled back and tall, tapered block legs make this chair pop. Thin, flared arms add a sleek touch of modern sophistication. Comfortable as well as stylish, this chair is supported by resilient, interwoven elastic webbing for a soft and consistent seating support. 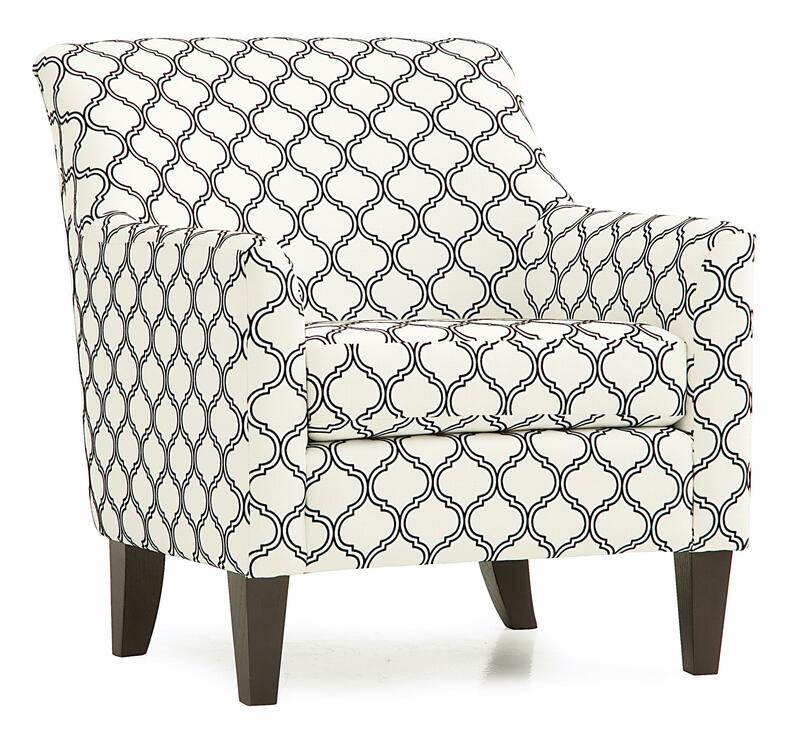 Customize the look of this chair by picking the fabric that best complements your vision of a perfect room. The Somerset Contemporary Accent Chair with Flair Tapered Arms and Rolled Back by Palliser at Stoney Creek Furniture in the Toronto, Hamilton, Vaughan, Stoney Creek, Ontario area. Product availability may vary. Contact us for the most current availability on this product.